Right now, you can pay only $10 for $20 worth of Apparel, Footwear, Home and Jewelry Products at Sears with Groupon. There are some exclusions (see the fine print) but overall you can use the voucher to get some great deals for half price! I was in Sears in Colonie Center recently and they have lots of clearance items in clothing and even a new clearance “room” for appliances. Plus, Whole Foods will be opening on Wednesday (6/18) in space adjacent to Sears so check it out! 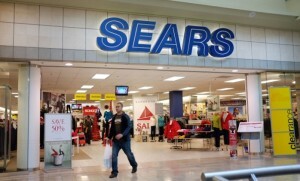 ← Shop Your Way Rewards by Sears- Surprise Points?